This story originally ran in March, 2018. Last year, Pocono-area hospitality leader Rory O’Fee was driving near the Lackawaxen River when a winter-feeding bald eagle swooped within ten feet of his car. It’s an experience that wouldn’t have been possible even a few decades ago, and one he had a direct role in facilitating. Bald eagles nearly disappeared from northeastern Pennsylvania in the 1970s, but are making a comeback along the state’s waterways, including the Lackawaxen and the nearby Delaware River. 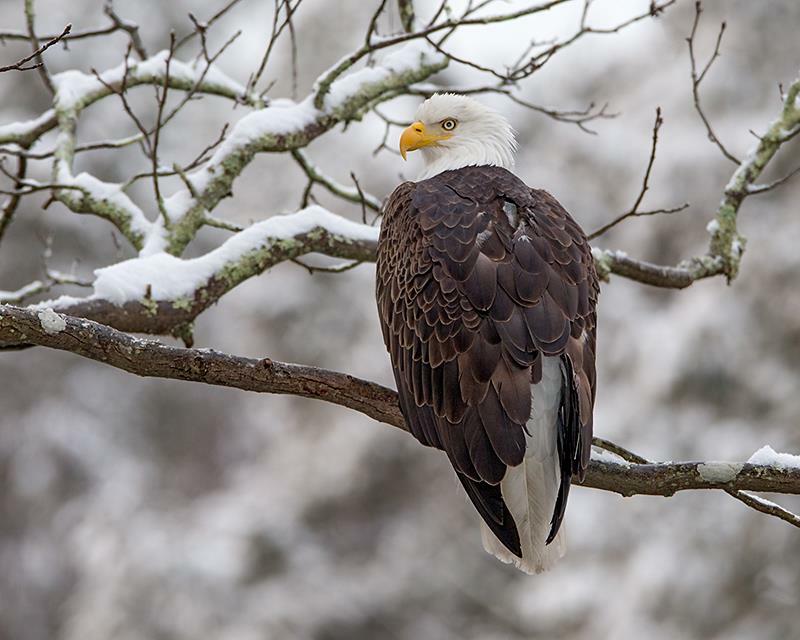 Sighting a bald eagle tops the to-do list for many travelers to the Pocono Mountains region, along with skiing, hiking, summertime lake and river sports, or just taking in the views. O’Fee is a board member of the Delaware Highlands Conservancy and a proponent of its Green Lodging Partners program, which launched in 2012. Thanks to this initiative — a unique partnership between the nonprofit regional land trust and a growing consortium of Pocono-area hotels and resorts — tourists can directly support the local environment, including those eagles. It’s a simple idea: Guests at participating hotels can donate $2 to the Conservancy with each booking. Those funds support the organization’s operating expenses. Two dollars per stay doesn’t sound like much, but with 16 member hotels in Pennsylvania and just over the state line in New York, that currently adds up to about $50,000 per year. The Conservancy, which operates in the upper Delaware River region in Pennsylvania and New York, is celebrating its 25th anniversary this year, and has already protected nearly 15,000 acres while running a range of educational programs, facilities, and tours. Bethany Keene, the Conservancy’s outreach and development team leader, says the inspiration for the program came when a Conservancy board member stayed at a resort in Vermont that worked in direct partnership with a local land trust. Could that be replicated on a wider scale in the Poconos? The Conservancy, along with a few hotel partners, decided to try. O’Fee is also marketing director at the Hawley, PA-based Woodloch property group. 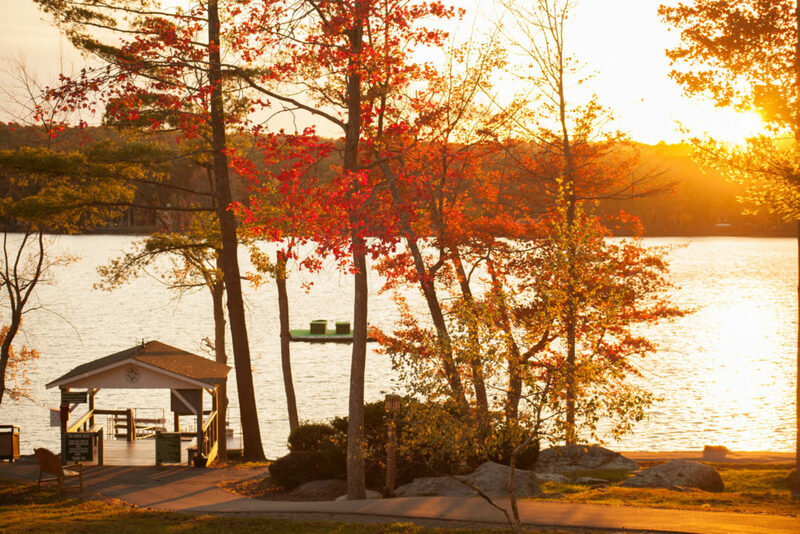 The cornerstone Woodloch Pines Resort is a family-run, family-friendly getaway; the Lodge at Woodloch is a luxury hotel and spa. Woodloch was one of three initial partner sites that helped develop the campaign and its materials. Terri Marcellus, a member of the Green Lodging Partners committee and the director of hotel operations at Settlers Hospitality Group (another founding partner of the program), also acknowledges the challenge. With hotels already subject to a range of taxes and fees, they’re often leery of passing along another fee, even if it’s just a few dollars. “The Conservancy needed a couple of benchmarks to sell the program to other hotels,” says O’Fee, and that’s what pilots at Settlers and Woodloch helped provide. The customer response rate has been excellent. Guests’ positive feedback grew following experiments with a Conservancy-provided check-in video, keycard holders, and rack cards to explain the program. 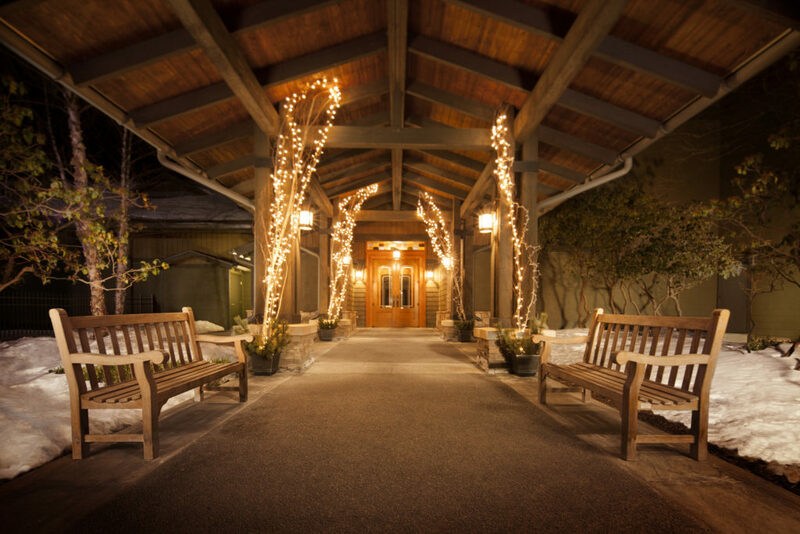 Woodloch began to put the Conservancy donation as a standard item on every hotel bill, with the choice for guests to opt out. Today, upwards of 90 percent of Woodloch guests choose to make the donation. It didn’t hurt that the Green Lodging Partners program dovetailed with work already underway at the company. Rooms have energy-saving lighting and devices, and the properties reduce their landfill volume by composting all food waste. 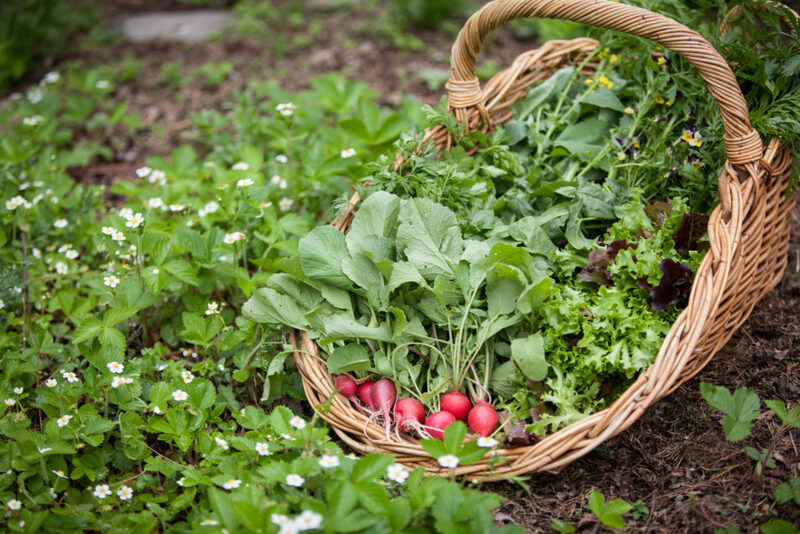 That comes in handy for the on-site garden, which provides all the in-season greenery and produce for the restaurant at the Lodge at Woodloch. And there are other small touches, like installing compostable paper chambers for organic shampoo instead of distributing loads of plastic bottles. Meanwhile, Settlers properties have incorporated sustainable practices and adaptive reuse from the beginning. Founders Grant and Jeanne Genzlinger launched the brand back in 1985 with the Settlers Inn, a 1920s Arts & Crafts lodge in downtown Hawley. The six-acre bed and breakfast on the Lackawaxen also has its own farm-to-table restaurant and tavern. Several years later the Genzlingers developed Ledges Hotel, originally a historic glass factory dating to the 1890s. 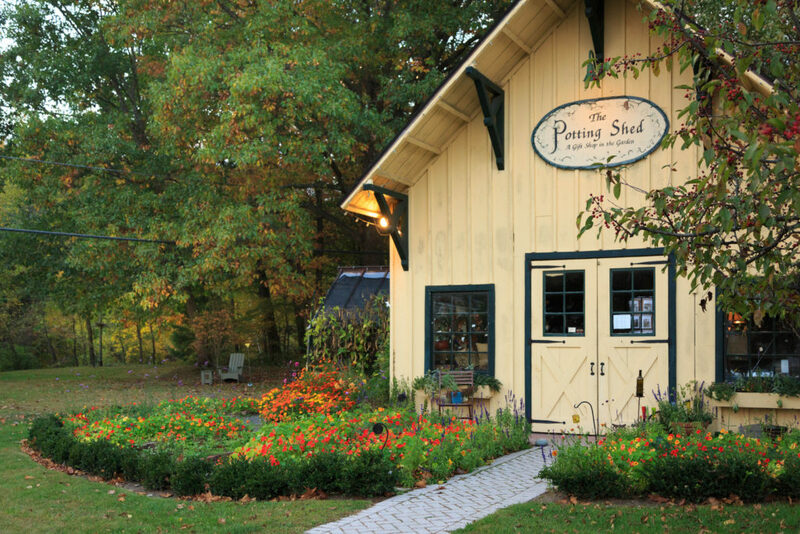 The building seems to grow out of the gorge at Wallenpaupack Creek, and its furniture is fashioned from the original wooden beams of a nearby 19th-century silk mill (itself repurposed as an arts, shopping, and dining destination). Finally, a hotel and cottage colony on Lake Wallenpaupack (with structures dating from the 1920s) was purchased and extensively renovated before re-opening under its original name, Silver Birches. 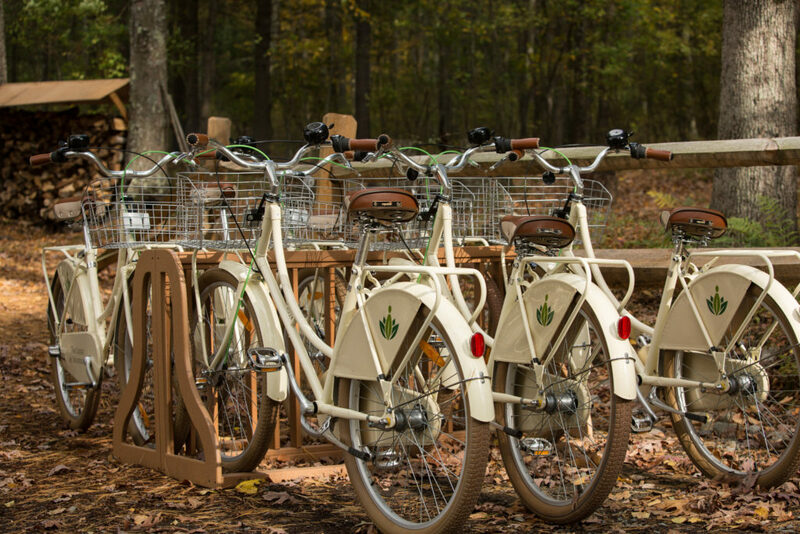 All Settlers properties are Green Lodging partners. The company also partners with the Orlando, Fla.-based Clean the World, a growing social enterprise with more than 5,000 hotel and resort partners. Instead of throwing partially used hotel soaps and shampoos in the landfill, participants ship it to Clean the World, which safely and hygienically recycles the products for repackaging and redistribution to people across the globe who lack access to basic sanitation. These include children at risk for fatal respiratory or diarrheal infection, for lack of simple supplies to wash, and shelters for homeless people throughout the U.S.
Keene agrees awareness is growing. “I think in this area, people notice if it’s not sustainable,” she says — like if there’s no recycling service, or you can’t hang up your towels to use again. And you don’t have to stay overnight to support the Conservancy. All you have to do is buy a drink. Modeled after the Green Lodging Partners Program, the Conservancy’s Drinks for the Delaware initiative launched in January 2018 with three partners in Honesdale, PA (Here & Now Brewing Company, Loose Leaf Pages and Black and Brass Coffee), as well as Catskill Distilling Company in Bethel, N.Y.
For every featured beverage purchased, the businesses will donate $1 to the Conservancy to support the health of local waterways (fifty cents for coffee or tea). This offers locals and tourists “the opportunity to contribute directly to the protection of our clean drinking water with every sip,” says the Conservancy. This isn’t just good news for folks in the Poconos, but for millions of people living downstream, in Philadelphia and beyond. And as majestic animals like bald eagles rebound along revitalized rivers (here’s a great video about the eagles’ Pennsylvania comeback), the Pocono Mountains can remain a top eco-destination for generations to come, with the help of industry and customers alike.